A few years ago, Irish brothers Colin and Ronan Hannan packed away their business suits and headed off for a Central American adventure. 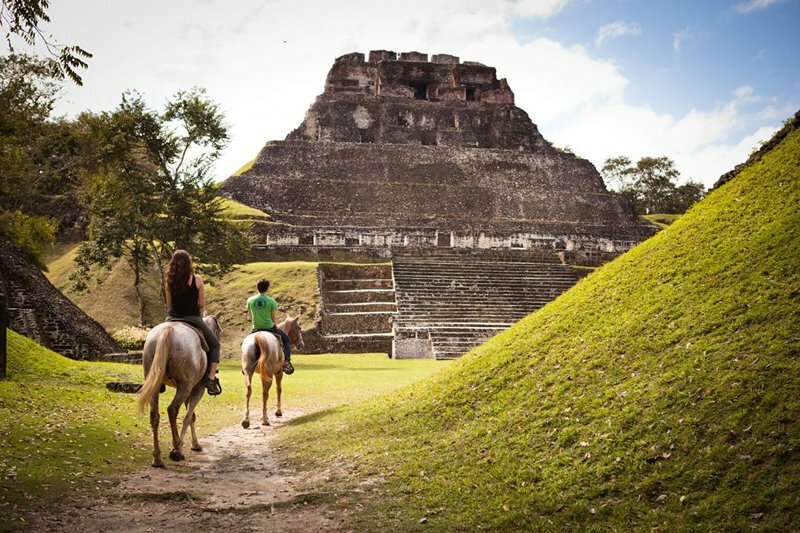 They ended up building the digs of their dreams: Ka'ana Belize, a 15-room eco-resort where guests can customize their everyday excursions (slumber party on ancient Maya ruins, helicopter rides over forest reserves). It doesn't stop there. 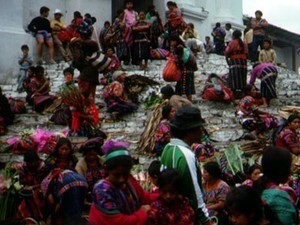 The twosome just came back from a scouting mission in Antigua, Guatemala. So, what were you doing in Guatemala? We recently opened two new villas at Ka'ana, as well as oversaw the shooting of a new video for the resort. This trip to Antigua was the perfect way to recharge the batteries and pick up a few antiques for the new villas. Who were you with? Our girlfriends Cara and Nicole. What was the best tip you got before you left? And where did you find it? Eat at Tartine. It has an outdoor roof terrace overlooking the ruins. And, also, amazing lasagna. That was a tip from a local, but the restaurant also gets great reviews everywhere you look. What's the #1 tip you'd give a friend who wanted to go? Explore! Walk the town and don't be afraid to look into all the hidden gardens as there are a lot of incredible places that are quite hidden. You have to explore, explore, explore, otherwise you'll miss something amazing. What did you do? 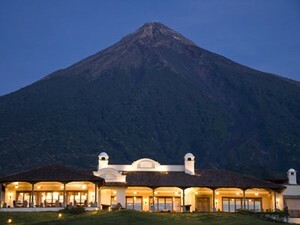 We spent five nights in Antigua, where we rode horseback through a coffee plantation. We climbed Pacaya, an active volcano. We relaxed in the central plaza drinking local coffee. And we took a day trip to buy old textiles at the weekly market in Chichicastenango, a mountain town two hours away from Antigua that is out of this world. Were you there for the right amount of time? We could have stayed another day or two, but five nights was just enough to relax and explore. How did you get there? From the international airport in Guatemala City, we took a 45-minute taxi to Antigua (it was very scenic). This was especially great: The scotch room at Panza Verde. It has an open fireplace and is decorated with battered old furniture. There's a great selection of scotch and some heavy pouring. You're in for a good night! 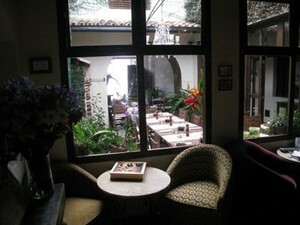 But this wasn't: Cafe Condesa. It is a cute place and is very well known, but the food is not up to par. 1. Meal or meals: Como Como. Great service and food, especially the Belgian stew (beef with dark ale). Good value champagne, too. 2. Neighborhood to explore: Chichicastenango. It's a tough two-hour journey, but definitely worth the trip. 3. Site/place/thing you did: Hike Pacayo, the active volcano overlooking the town. You can get as close to the lava as you're able to handle! 4. Cafe/casual hangout: Epicure. Walk way down to the back of the space to find a secret garden. What's the local specialty? Coffee. They have some of the best in the world. We must have had five espressos a day! One thing/place you didn't get to visit, but wanted to: La Reunion, which is a beautiful hotel with a Pete Dye golf course on the side of an active volcano. It looks stunning. 1. Glad you packed: Comfortable shoes. The cobblestone streets are tricky. 2. Wish you'd packed: More sweaters. It gets cold in the evenings. 3. Didn't need: Formal clothes, as everything is pretty casual. 4. Brought back: Zacapa 23-year rum. It's a national treasure and gave us a new respect for rum. Any surprises? The museum of Mayan Art at Casa Santo Domingo was really impressive, very extensive, and beautifully curated. You can't stop thinking about: Horseback riding while overlooking Antigua at sundown. The town is nestled in a valley surrounded by three volcanoes. It's insanely pretty. Would you go back? Definitely! We'd stop by the Design Center in Guatemala City on the way back to the airport, as it offers some amazing work by local designers. See the video the Hannans put together while down in Central America. Photos: Adalberto / Flickr; courtesy of Como Como; courtesy of La Reunion; the brothers Hannan. 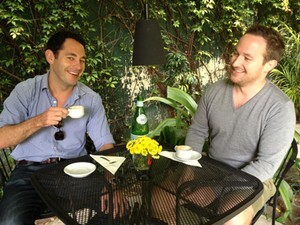 The Hannan brothers are the owners of Ka'ana Belize, a boutique, eco-luxury property in the Maya Mountains. They thrive on the opportunity to create positive change within a locality and its people, which in turn leaves an indelible imprint on their guests. They travel for the thrill.